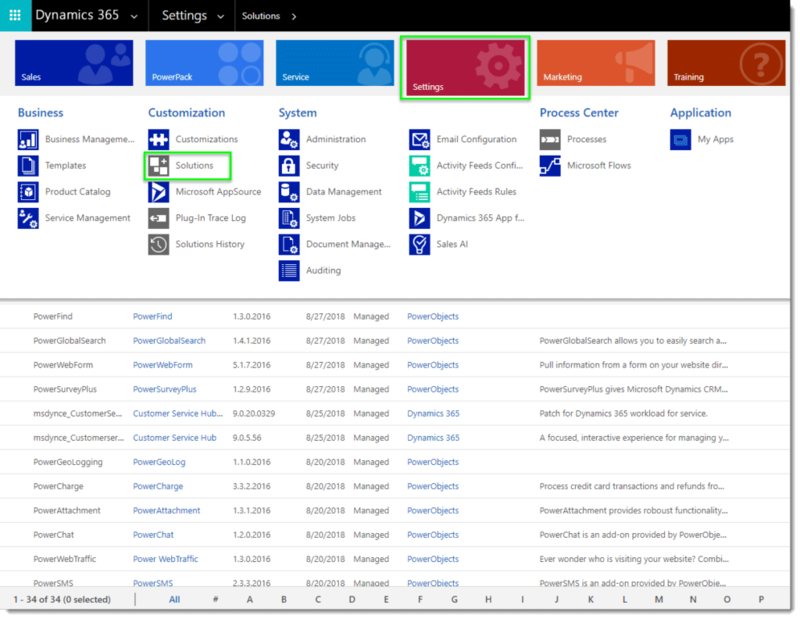 The first step in getting started with any managed solution in Microsoft Dynamics CRM is to import the solution under the Solution section of CRM. To navigate to this section, you would simply go to Settings > Solutions > Select the Import button from the ribbon. This will prompt a dialog box that will walk you through the import process, which is shown below. 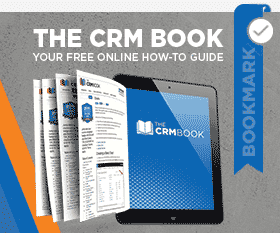 To begin the import process navigate to Settings > Solutions in your CRM environment. Click on the ‘Import’ icon. 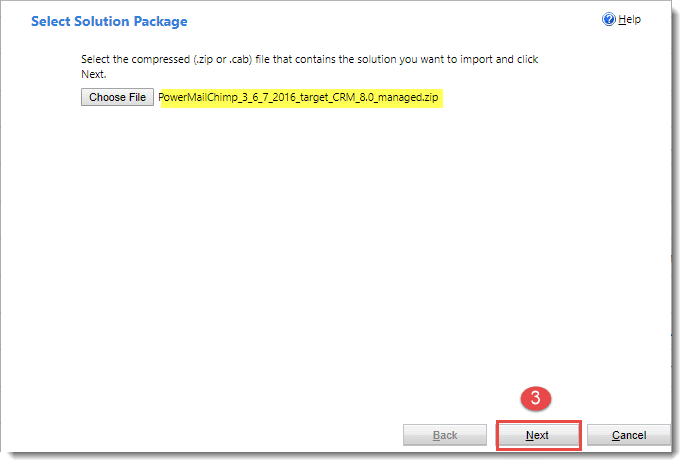 IMPORTANT: If you do not have the proper security permissions to upload a solution you may need to contact your CRM Admin. The next screen will verify the details of the solution you are about to import, select “Next” to move on. 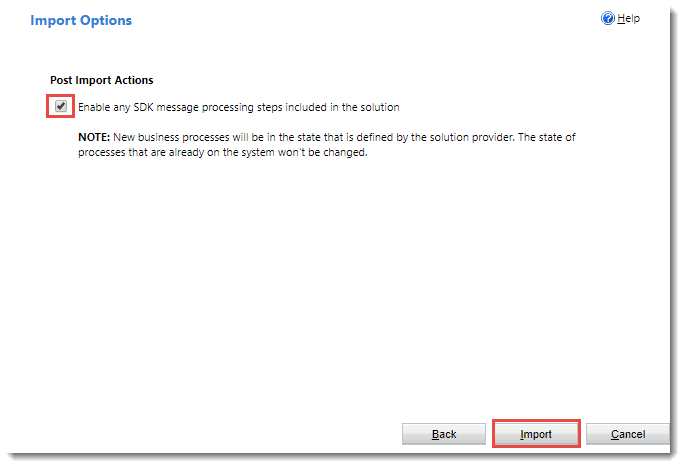 On the next screen you will have to make sure that the “Enable any SDK message processing steps included in the solution” option is selected. 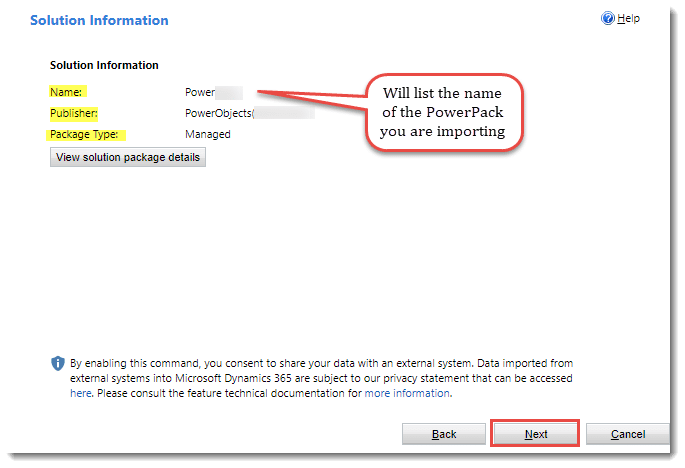 Once this box is checked, select “Import” in the lower right corner. 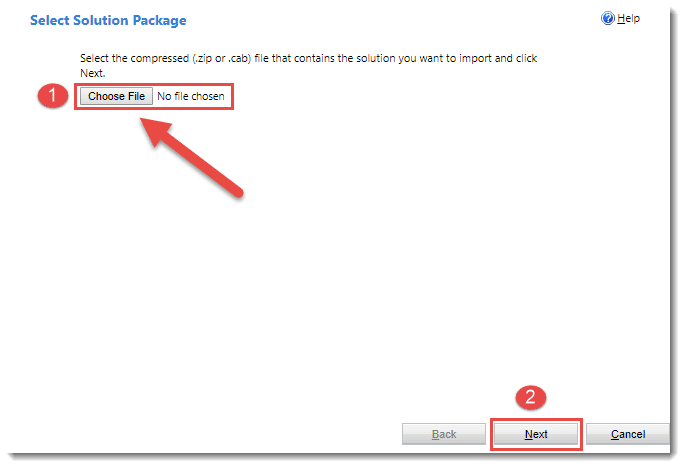 IMPORTANT: If you do not select this checkbox the solution will not function properly. 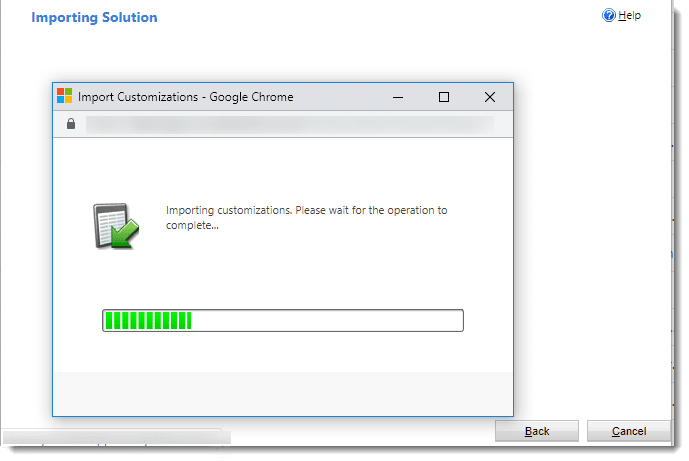 Once you have selected the import button a new dialog box will appear showing you a progress bar for the import. This step usually takes between 5–10 minutes, depending on the complexity of the solution. Once the import has completed, you will see a screen with an overview of the import and components. Simply select close and move onto the registration process. 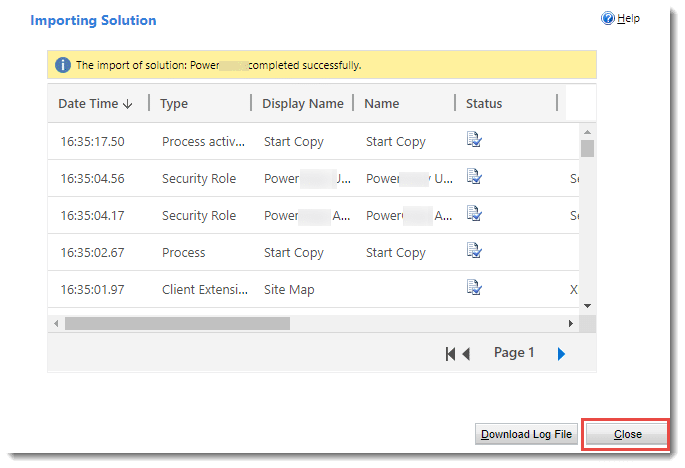 Once the import has completed, double-click on the PowerPack solution you just imported from the solutions list in CRM. 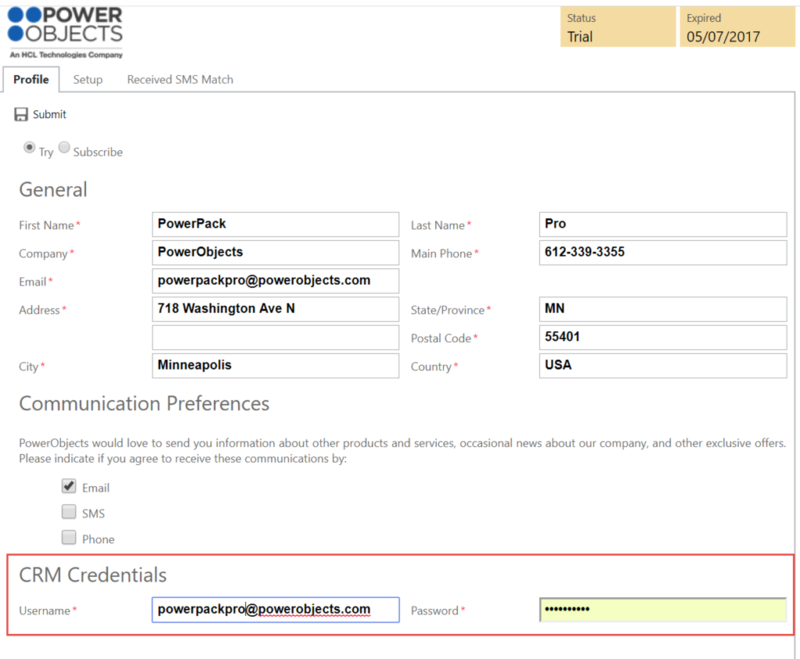 This will open the configuration screen of the PowerPack solution, where you can select if you’d like to register for a 30-day free trial or subscribe to the add-on. 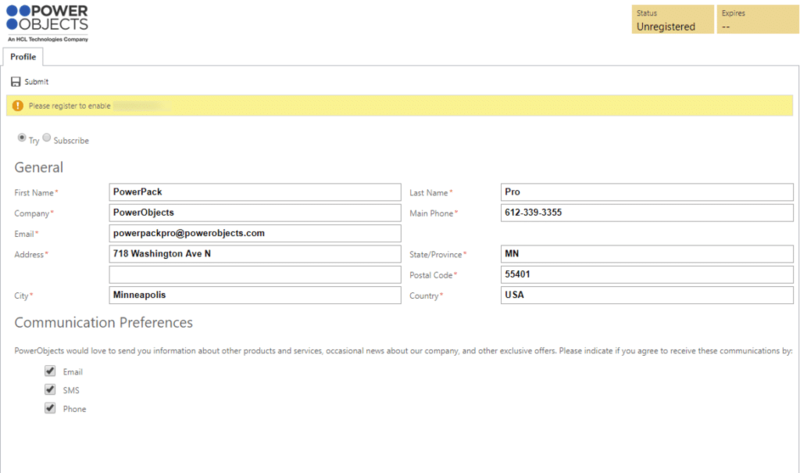 Under the “General” section fill-in the required information, including your communication preferences, once you have completed the form select the “Submit” button which is located under the “Profile” tab of the form. If the solution that you are importing communicates with the cloud you will see a second section on the registration screen labeled “CRM Credentials”. Please input credentials of a user that has, at minimum, the Powerxxx Service User security role assigned. This security role includes the minimum level of access this user needs, in order for the add-on to function properly. Note: This user cannot have two-factor, or multi-factor, authentication turned on. For information on using the solution please refer to the corresponding user guide. Thank you for your interest in PowerPack Add-ons Import Guide, should you choose to subscribe you will be charged $2/enabled CRM user/month. If you have any questions or run into any issues with PowerPack Add-ons Import Guide, our friendly support team is here to help!